Boston Area Gleaners distributes over 315,000 pounds of produce annually (about 50% of our total gleaned produce) via our Food Bank Partners; this produce impacts a network of over 600 hunger relief agencies in southern New England. Our largest recipient in this category is the Greater Boston Food Bank. 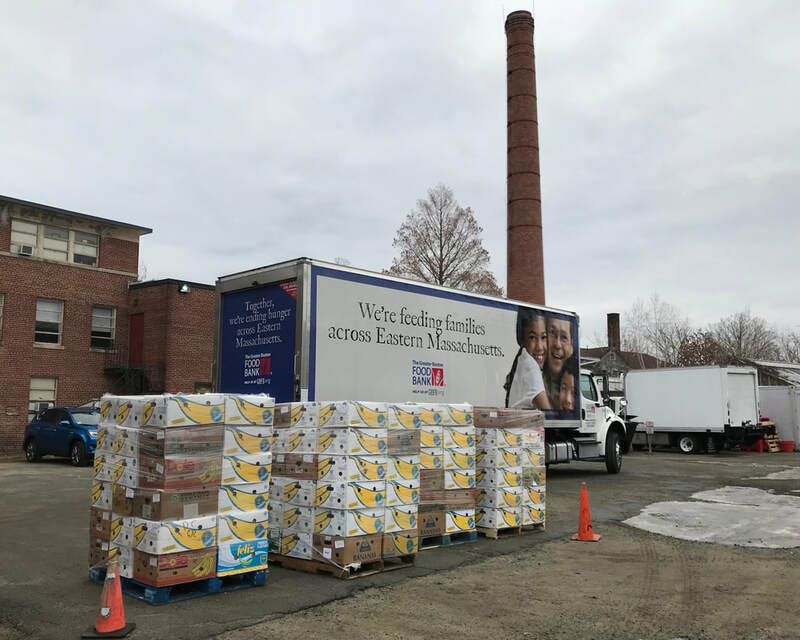 We also partner with Merrimack Valley Food Bank, Worcester County Food Bank, New Hampshire Food Bank, and Rhode Island Community Food Bank to broaden our reach. ​All of these Food Bank Partners receive large shipments of gleaned produce from Boston Area Gleaners, which they then warehouse and redistribute to their large networks of agencies. If you would like to learn more about this program, or if you work with a food bank with whom we do not currently partner, please please contact Charlotte Border, Distribution Manager, at sgc[@]bostonareagleaners.org or (781) 894-3212. Pallets of produce waiting to get loaded onto the Greater Boston Food Bank truck at our facilities in Waltham.